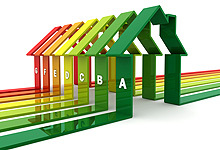 Here at Safeheat Torbay, we have been MCS accredited for over 2 years, and likewise, all of our renewable products are MCS certified - this means that you will be eligible for the Renewable Heat Incentive which is the government scheme designed to reward people installing renewable forms of heating into their home. With Fossil fuel prices ever increasing at astonishing rates, and availability decreasing rapidly. CO2 polluting the atmosphere and resulting in global warming... maybe the Green renewable option would be a better fit in today's society? Of most concern in these anthropogenic factors is the increase in CO2 levels due to emissions from fossil fuel combustion. Here at Safeheat, we offer independent advice on which sort of Renewable Energy would be best suited to you, your lifestyle and your property. We offer the full range of Renewable sources, from Solar, Heat Pumps through to Biomass. There has never been a better time to look into the option of Renewable Energy, incentives such as the Renewable Heat Incentive and the Feed in Tariffs have made such Renewable Heating Systems increasingly attractive options for the private residential market.